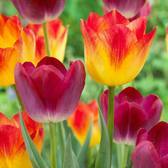 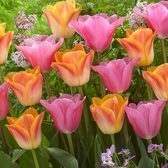 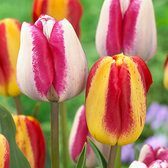 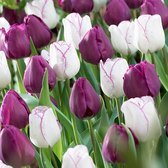 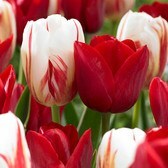 The Triumph Tulip is a result of a crossing between two premium varieties, Single Early and Darwin varieties. 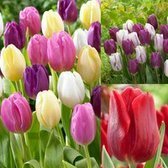 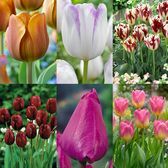 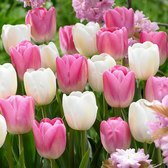 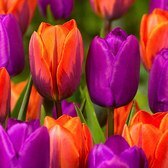 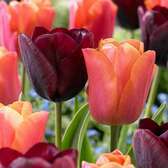 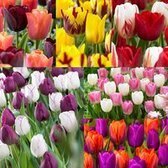 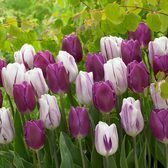 One of the largest ranges of Tulip varieties, Triumph or mid-season Tulips as they are known produce outstanding colours with a very strong neat habit. 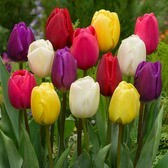 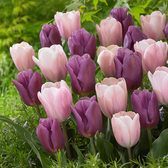 A superb Tulip for planting in large groups in the border, flowerbed or also in patio container pots. 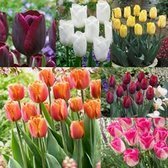 11/12cm circumference bulbs supplied, unless otherwise indicated.